I read these two last night and early this morning (woke up and couldn’t sleep. I had to be up anyway for an early morning bagel run). 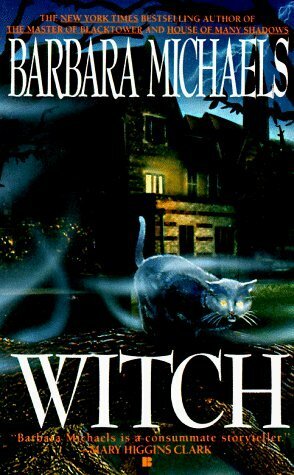 Witch was an impulse buy at the library book sale, the cover drew me in. It was only when I got home and looked the book up that I found that Barbara Michaels is also writes and Egyptian themed mystery series that is much beloved as Elizabeth Peters. I had no idea that she wrote books other than the Amelia Peabody series. In real life the Author, Barbara Mertz, was actually an Egyptian scholar and brings that knowledge and background to the Amelia Peabody series making those books great reads. This book was a really good paranormal suspense/romance. The plot moved along at a quick pace. The protagonist was a strong independent woman setting out on her own after spending many years taking care of famly. The cult like church was like something ripped out of today’s headlines….Westboro??. The story had a balanced mix of reality and magical elements, including ghosts but not in an overly dramatic way. I did guess the “true” story prior to the end, but it did not impact my enjoyment of the book. I’d recommend this to readers of paranormal suspense/romance especially those looking for books where the protagonist is not a teenager. 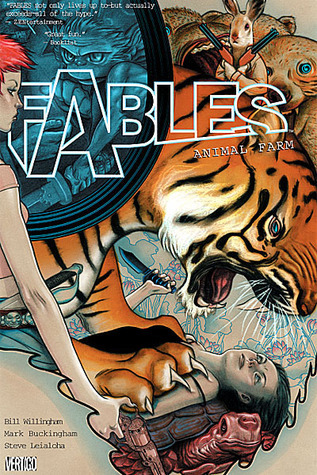 Fables 2: Animal Farm is the second book in a graphic novel series recommended to me by Ronnie Reads and Reviews. I do enjoy the fractured fairy tale genre. After being a teacher, I find the saddest part is that the fractured fairy tale unit that I used to teach doesn’t work that well with today’s children because they don’t know the original stories. I will get off that soapbox and review. I thought that this was good take on fracturing fairy tales using Animal Farm, a book that many people seem to overlook now or feel is too simplistic. The adversarial relationship between Snow White and Rose Red played out as sibling rivalry was well done and believable even in graphic novel format. The relationship between Goldie and the three bears, indeed the Goldie character was fresh and funny and yet still in keeping with the original feel in many ways. I enjoyed this and will continue with the series.